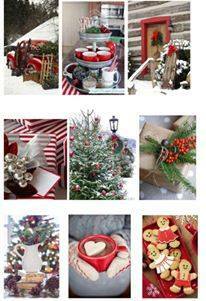 Christmas is fast approaching and I sure hope to finish wrapping my presents soon! While I absolutely love spending time with my family, giving gifts that light up someone's face and the general happiness of the season...I admit I get a bit stressed out. So I'm taking a few deep breaths and spending a little extra time in my craft room to help me relax. 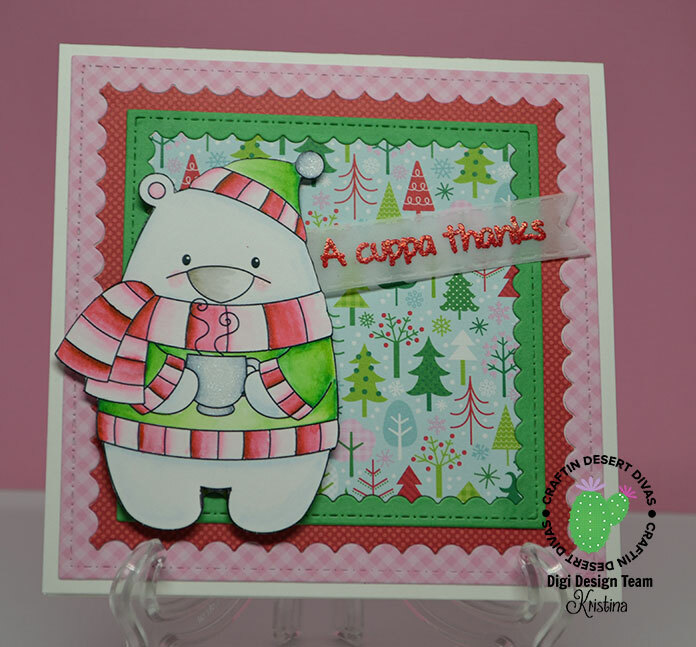 My project today features an adorable bear holding his cup of joe. I could use a cup right about now! I printed Ice Bear out on Bristol paper. I have been spending a lot of time lately with my copics and wanted to spread the love with my Zig Clean Color Real Brush markers. I love the fact that with just a few colors I can get some really awesome shading. Not to mention that it doesn't take a lot of time or extra work! I'll admit that when I first got these markers I had a bit of a struggle but I now find that I reach for them frequently. 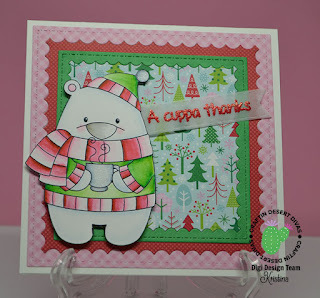 For this card I picked the tree paper from the Here Comes Santa Claus paper pad. I then used that to guide my coloring and coordinating papers. I first cut the tree paper using the 2nd largest die from the Inside Scalloped Squares dies. I didn't have a green piece of paper the right shade to match so I dug around until I found a copic that matched nicely. I colored a piece of white paper and then used the same die to cut it out. Then I used the largest Insided Scalloped Squares die to cut out the red mini dot paper and the pink Gingham. The red came from Here Comes Santa Claus paper pad and the pink gingham is from Gingham-Linen Rainbow Petite Prints paper pad. I cut a piece of vellum using a die from the Flag Banners set. The sentiment is from the Got Coffee stamp set. I embossed it using a red glitter embossing powder. And of course I had to add just a bit of sparkle on the coffee cup and the ball of his hat with my wink of stella marker. As a final step, I popped the bear up using some foam tape. Whew! It sounds like a lot but it really went together pretty quickly and I love the results. It certainly isn't your typical Christmas colors! 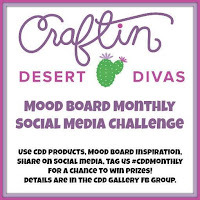 Have you had a chance to enter the December Craftin Desert Divas social media challenge yet? 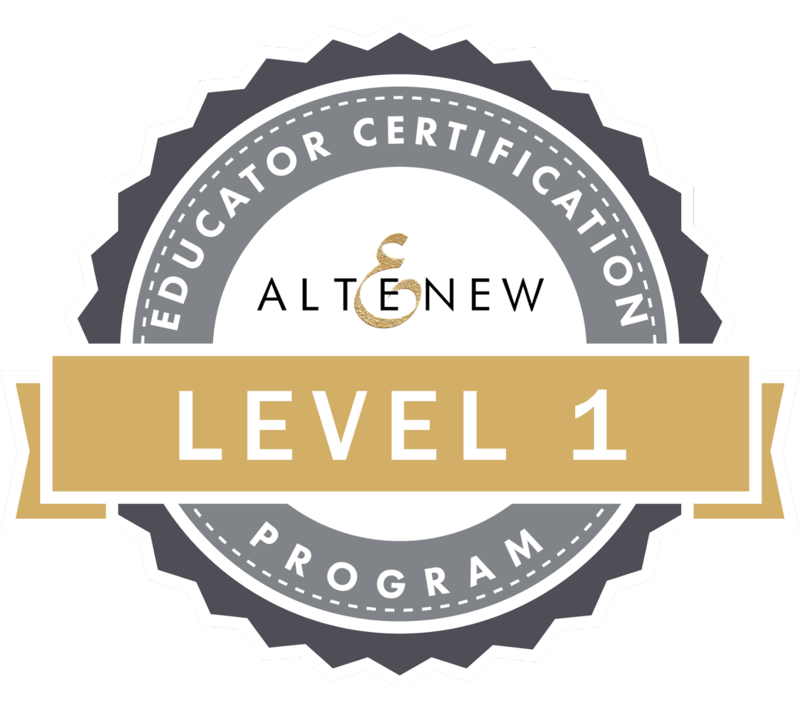 It is so easy and there are prizes to be won! 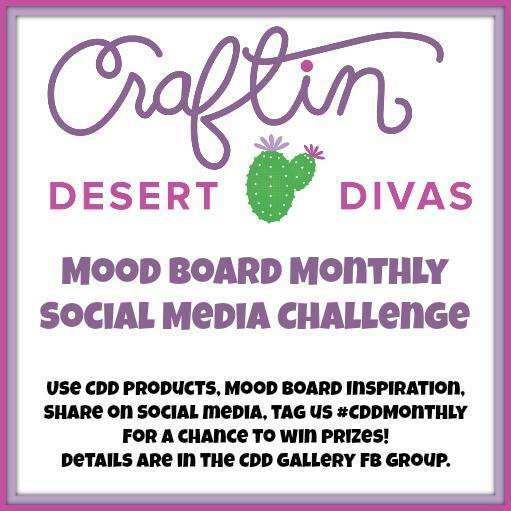 There is tons of inspiration to be found at the Craftin Desert Divas Gallery Facebook group page too! Just remember to share your project using #cddmonthly.